This 1960 Ferrari 250 GT Berlinetta Competizione by Scaglietti is being offered for Auction at the RM Auctions Villa Erba event that is running on May 23, 2015. 280 bhp, 2,953 cc SOHC Colombo V-12 engine with three Weber 40 DCL6 carburettors, four-speed manual transmission, independent front suspension with parallel A-arms and coil springs, solid rear axle with semi-elliptical leaf springs, and four-wheel Dunlop disc brakes. Wheelbase: 2,400 mm. Restored by renowned experts at Motion Products Inc. In 2011, this 250 GT was acquired by the current owner, who immediately had the spare engine fully rebuilt and prepared for competition by renowned historic specialists at Pearsons Engineering. The car was campaigned at a handful of high-profile historic races, where it truly excelled at the hands of former Le Mans winner Jackie Oliver, and it also made appearances with Christian Horner, of Red Bull Racing, and Gary Pearson, who are both successful drivers in their own right. It was then driven by Christian Horner and Jackie Oliver at the Royal Automobile Club Tourist Trophy Celebration during the Goodwood Revival in 2012. Oliver remained behind the wheel at the Donington Historic Festival in 2012, finishing 1st in the Pre-63 GT race. He also drove the car at the Silverstone Classic, which took place two months later. The first race of 2013 would see 1953 GT return to the Silverstone Classic in the hands of Jackie Oliver and Gary Pearson, with the pair winning the famous RAC TT. Horner and Oliver drove the car again at the Goodwood Revival in 2013, taking 10th place in the RAC TT Celebration race, which was a four-position improvement from their finish the year before. The Moss Trophy Race at the 2014 Goodwood Members Meeting was a close race between a 1953 GT and the 250 SWB GT “Breadvan”, which had Oliver behind the wheel, but it’s time was cut short by a rear tyre issue. This car’s final competitive outing for 2014 would be yet another appearance at the RAC TT Celebration Race at the Goodwood Revival. 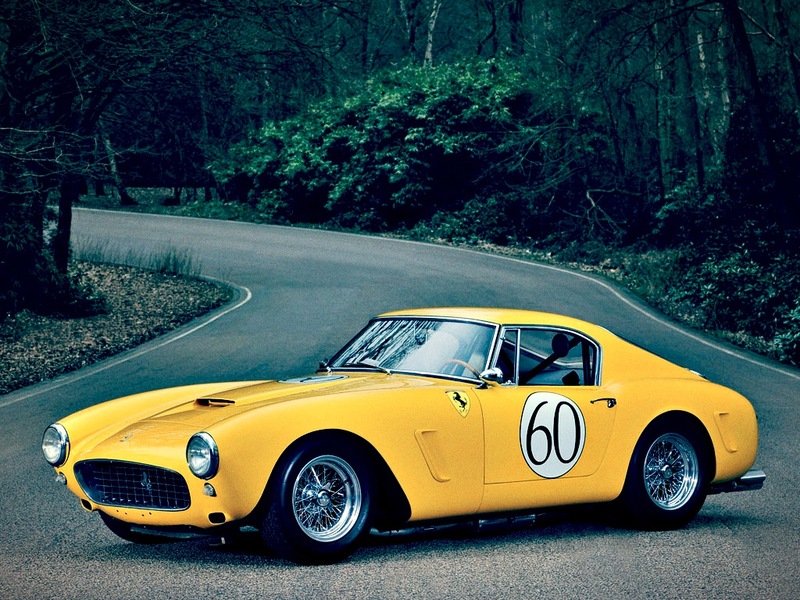 Presented in Paris in October 1959, the short-wheelbase 250 GT Berlinetta epitomised the ideal road racer. With just a few minor touches (colder spark plugs, racing tyres and a roll-bar), the car could take to any circuit and battle it out for a class win. Designed by Pininfarina and built in collaboration with Scaglietti, the first cars were bodied in aluminium, although later this material was only used for the racing versions. With numerous victories to its credit, this remains one of the best-loved Ferraris ever. Check out the auction Lot information at rmauctions.com.